Once summer comes, your beautiful mantel looks bare after the stockings and holly are removed. As much as you may enjoy your fireplace and mantel during the winter, you might start to wish it was gone once summer starts. What you need is a proper decoration to bring life back into the living room! Try these three ideas for decorating your mantel in the summer. Whether you love the forest, the beach, or the sun, try bringing it into your living room. Bring in flowers from your garden, pictures of your family outside, and even a small plant or two to make the place stand out. If you’re a decorating fanatic, grab some sand and put it in a small container, and decorate with shells. Make your own little zen beach, and make it your own. You can even add in one of those little paper umbrellas that appear in fruity drinks at the bar! Add a small light to represent the sun, a couple of rocks from your latest trip, or a few clippings of a pine tree to really pull the scene together. You’ll feel like you’re outside, even when you’re inside! Bringing in the pictures of you and your family will really tie the mantel together, and show that you are all together, happy, and enjoying the summer. It’ll bring a better atmosphere to your room, no matter what time of year it is. Even though candles are associated with winter and cold, bring out your brightest and most colorful for the summer. Getting pretty decorative candles and making a little homage to color and happiness can make your mantel summer-ready. 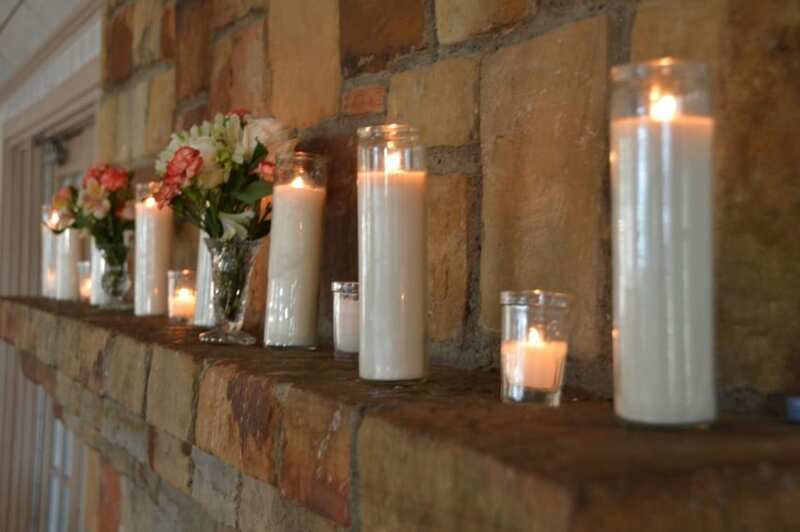 Grab a couple candles with flowers on them, or made in the shape of flowers, and set them up. If you don’t want to light them, that’s fine. Just using them for decoration will help. Grab a couple of scented candles and light those along the mantel, filling your room and house with a pretty scent. Even if you only light those candles, or incense, or whatever it is that you light, your mantel will look and smell amazing, and will help encourage your family to spend those family movie nights more happily! Are you a gardener? Horticulturalist? Appreciator of plants? Either way, you can always decorate your mantel with plants. Depending on the houseplants you have, and the plants that can survive on the atmosphere around your mantel, you can have a little flowering plant that doesn’t need a lot of heat or sun, or even bamboo. Bamboo is one of the best indoor plants to have. It grows really quickly, needs nothing more than water and a bit of tender loving care, and usually comes in gorgeous containers. You can buy a bamboo plant that has already been grown into a specific shape, or design, and simply continue to encourage it to grow from there. Add in a couple of small statuettes or other greenery, and you’ll have a vibrant and living addition to your mantel.